Isabella McGee: Born 1 October 1868, Collingwood, Grey, Ontario, Canada. She married Richard Simmons in 1896 and eventually moved to Duluth, Minnesota. William John McGee: Born 10 July 1871, Collingwood, Grey, Ontario, Canada. He married Laura Kirby in 1900 in Thornbury, Grey, Ontario, Canada. James McGee: Born 25 February 1877 in Ontario, Canada. 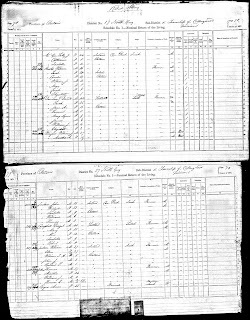 1871, Collingwood, Grey North, Ontario, Canada, district 37 Grey North, subdistrict Township of Collingwood, division 1, p 78, Family Number 282, Richard McGee ; digital images, Ancestry.com, Ancestry (www.ancestry.com : accessed 8 October 2010); Roll C-9953. Katherine was 14 when her mother, Sarah, died in 1877. I often wonder if Katherine had to take on the duties of mothering her siblings as they were 9, 6, and 2 months old at the time. 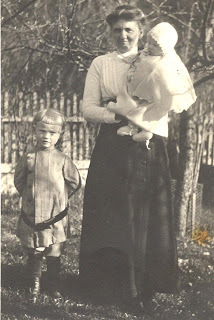 Very little is known of Katherine during her youth and teenage years. 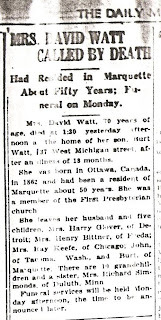 ﻿Katherine McGee married David Watt on 16 May 1883 in St. Ignace, Mackinac, Michigan. 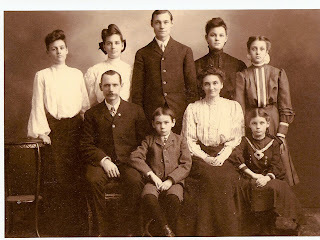 They settled in Marquette, Marquette, Michigan where they had eight children. 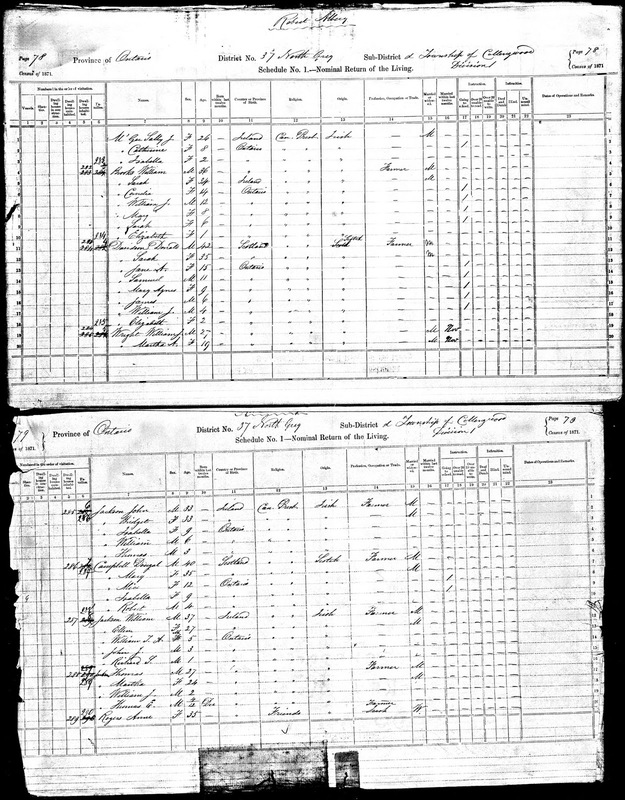 Source: ﻿1910 U.S. Census, , population schedule, Ward 4, enumeration district (ED) 191, p 8B, dwelling 174, Head of household-David Watt; digital images, ancestry.com (: accessed 8 October 2010); Original data: United States of America, Bureau of the Census. 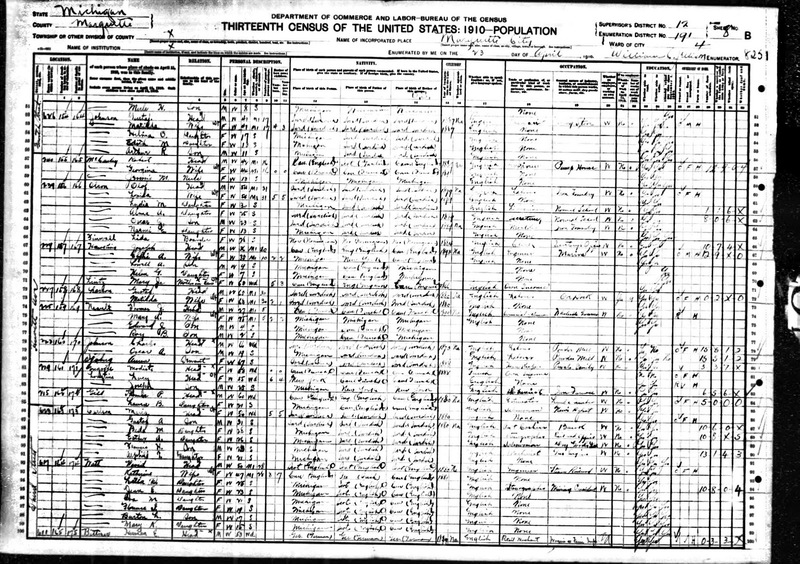 Thirteenth Census of the United States, 1910. Washington, D.C.: National Archives and Records Administration, 1910. T624, 1,178 rolls..
Marital status: Widow Correction: Katherine was married at the time of death. Surname before First Married: Catherine Jackson Correction: Surname was McGee; Jackson was her mother's maiden name. Photo by Brenda Leyndyke. Personal Visit. July 2009. 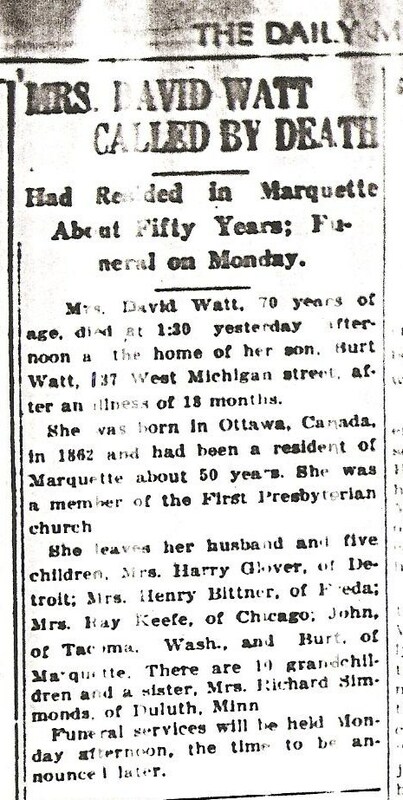 Katherine McGee Watt is buried in Park Cemetery, Marquette, Michigan in the Watt family plot. Brenda, another excellent bio from you. 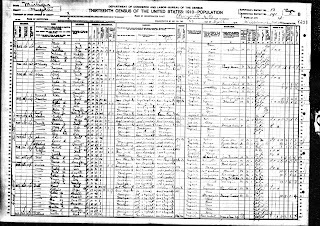 Isn't it amazing how many errors can be on a death certificate, at least you knew the facts, imagine trying to locate a Catherine Jackson's parents. Barbara, I guess I had a senior moment-I thought I had included the death certificate. Yes, trying to find a Catherine Jackson would have been interesting. The Township of Collingwood is in Grey County and the Town of Collingwood is in Simcoe County. The Township of Collingwood since amalgamation in about 2000 is part of the Town of the Blue Mountains, part of Grey County. I enjoyed reading Katherine McGee Watt's profile. Janet, thanks for the added information on Collingwood.